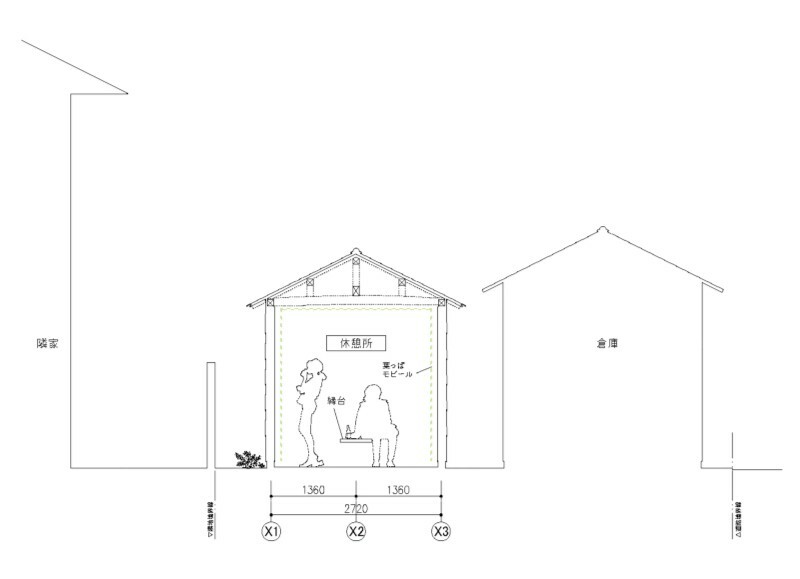 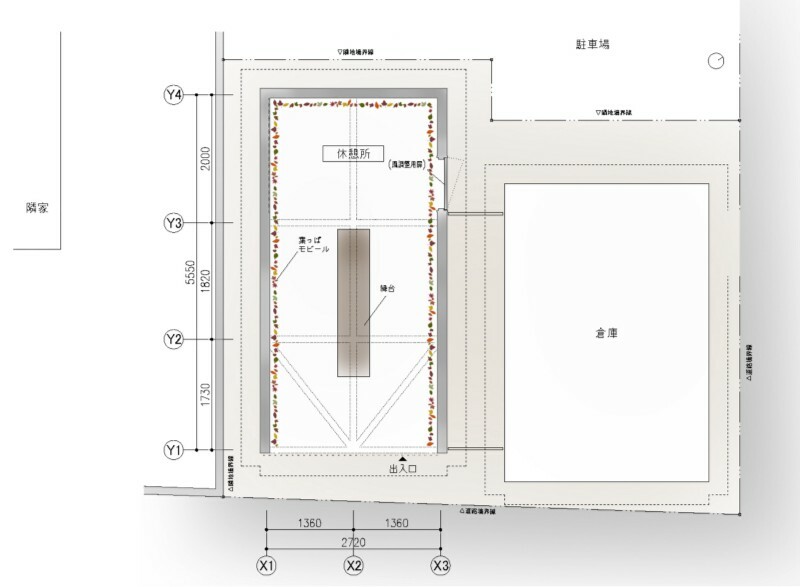 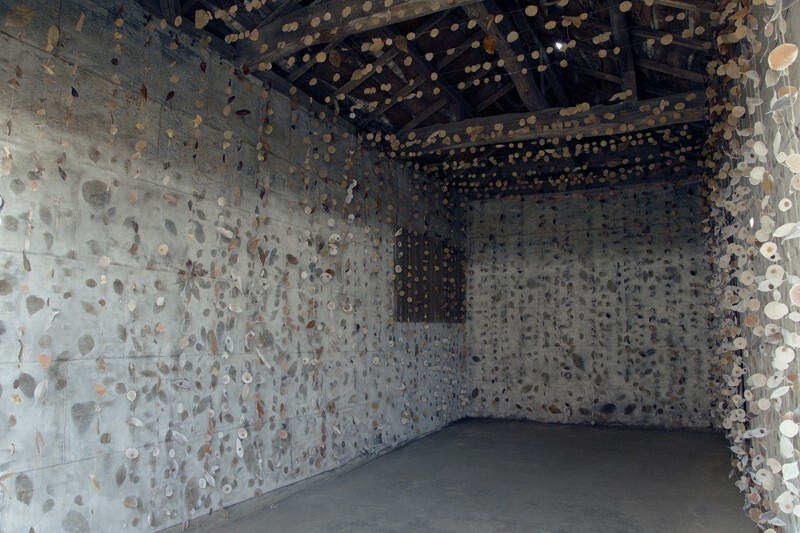 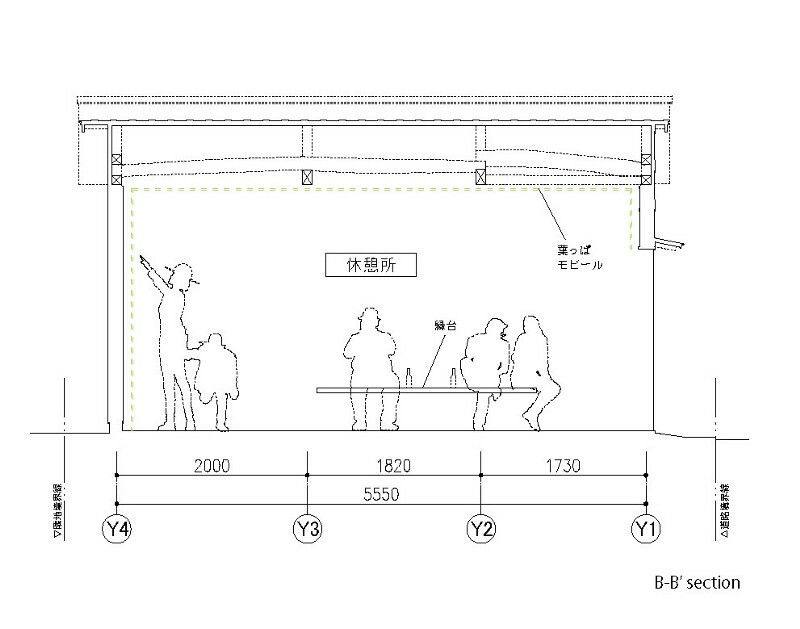 The project is an intervention of an aged shed situated in a small port town of Hitachinaka city, Ibaraki. 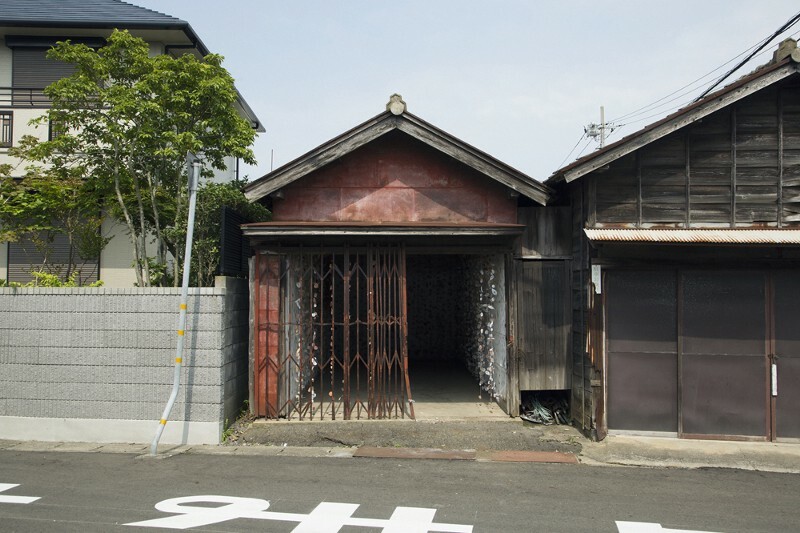 The owner finally decided to demolish this rusty timeworn shed this spring. 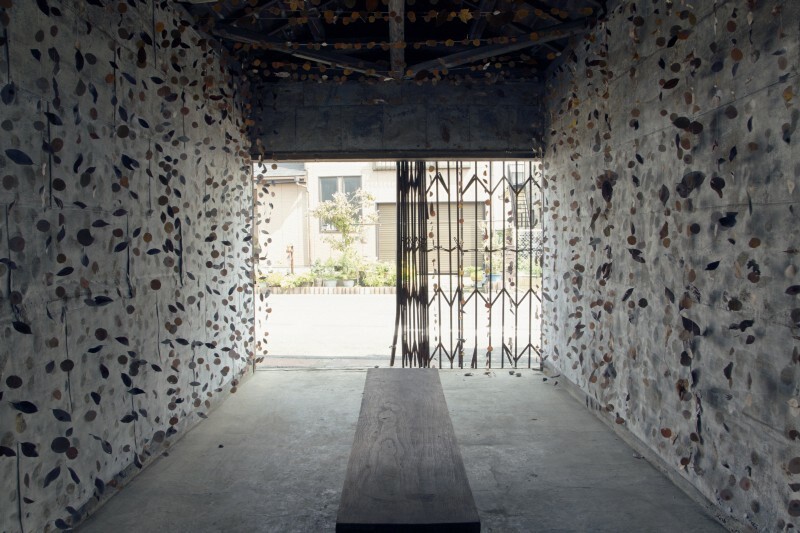 The finishing blow that determined its fate was the tsunami that devastated the area two years ago. 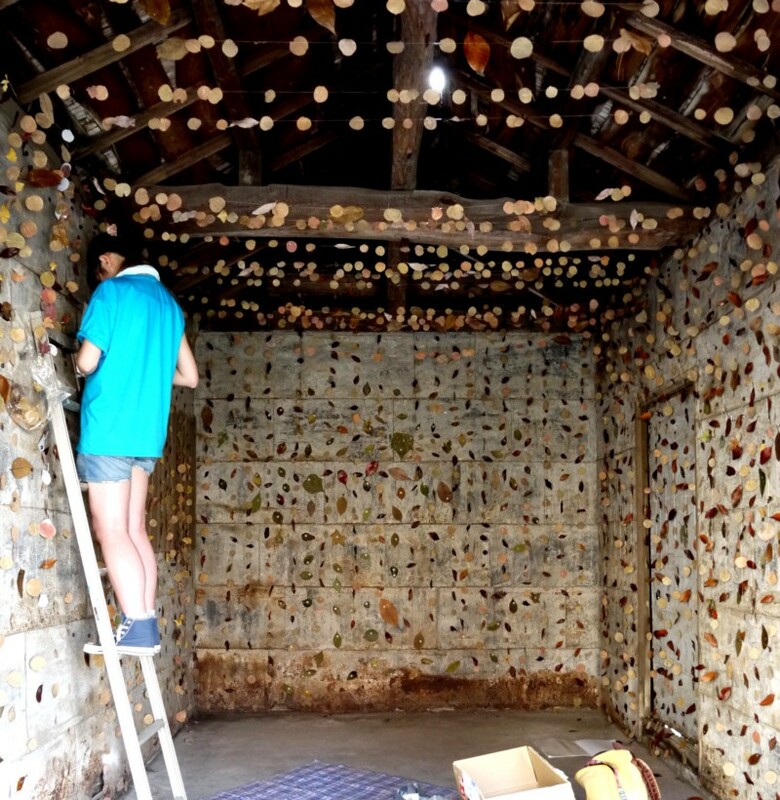 We, who were looking for a location for a kiosk for an art event which was booked for the same timing as the demolition, decided to borrow this shed and add a bit of face-lift for its twilight days. 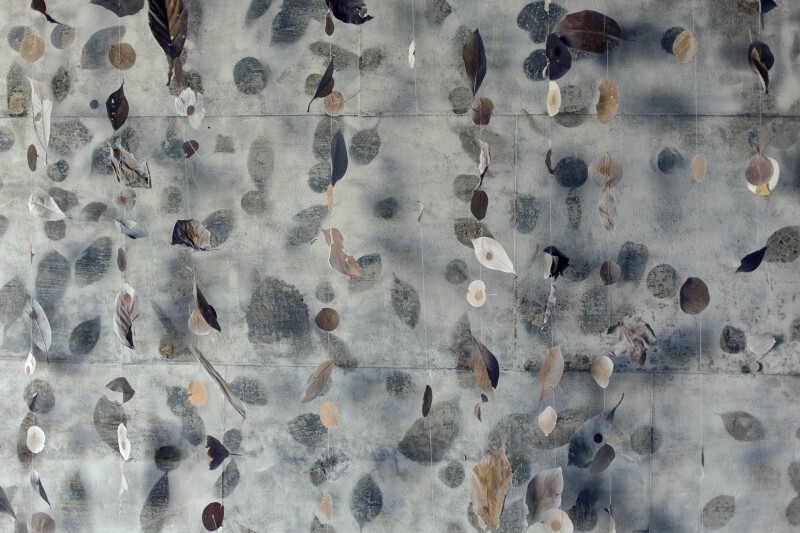 Using leaves collected by local students, we held an art workshop. 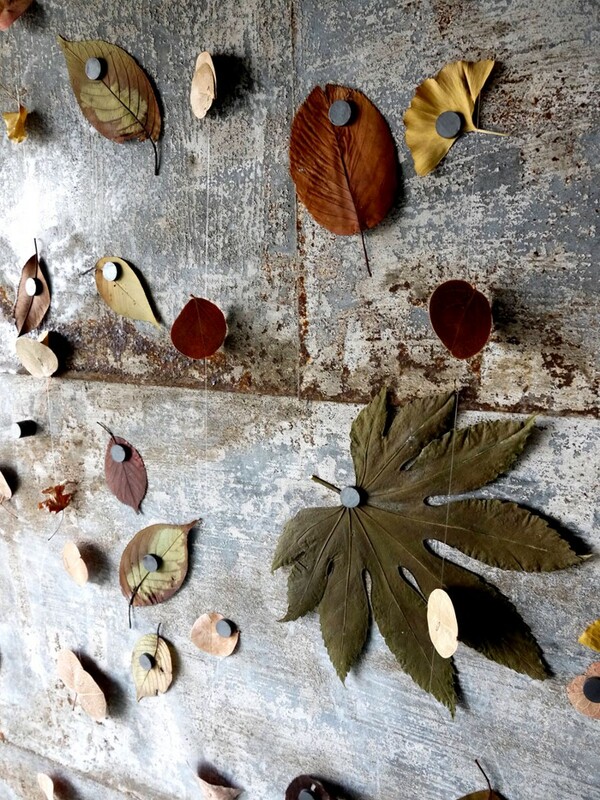 We press-dried the leaves as you would to make dry flower, attached them to the rusted corrugated wall by magnets and spray-painted over them. 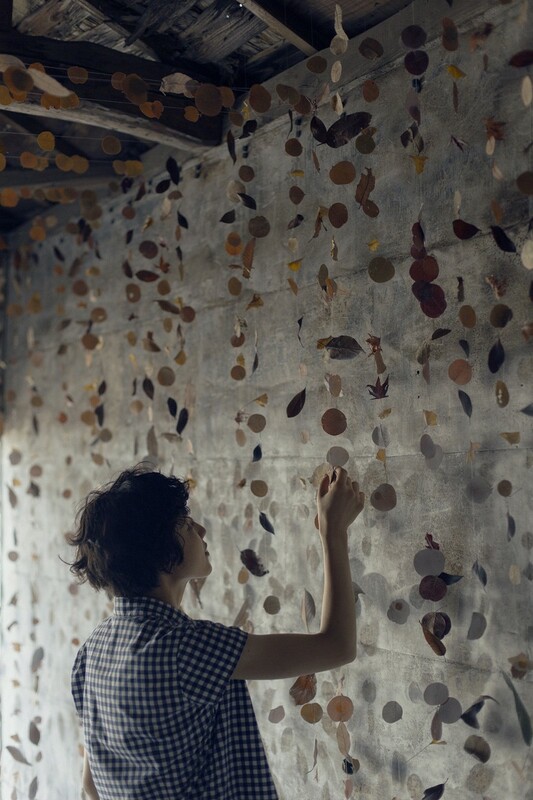 When these leaves are then peeled off, the pre-existing texture of the old building becomes revealed almost as if the old memory is excavated along with it. 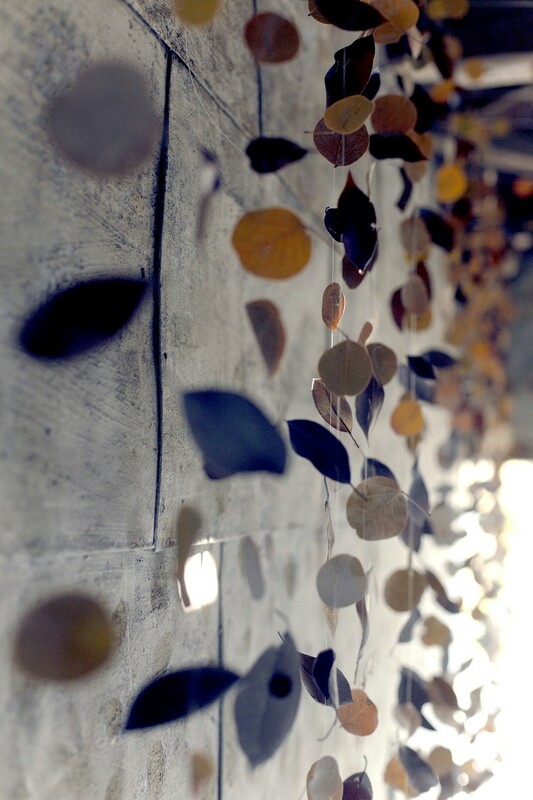 We would then use the leaves that were peeled off as a part of a kinetic art. 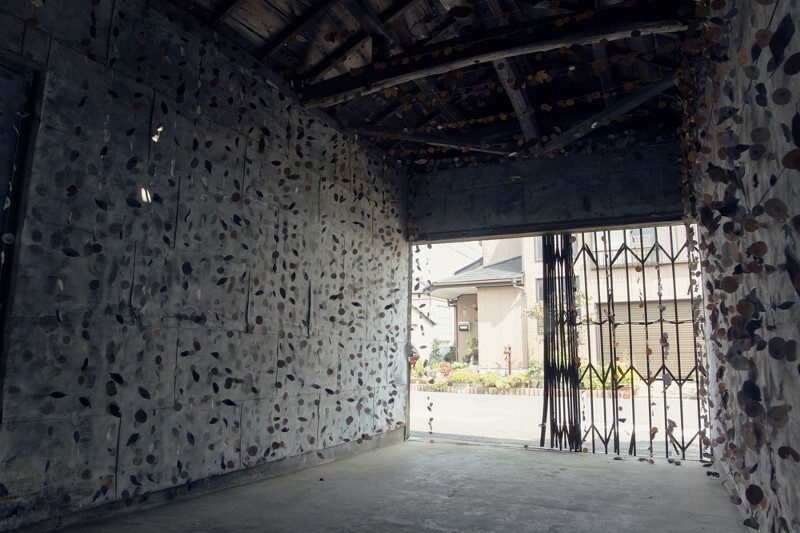 Leaves are placed all around the shed as if to retrace the shape of the building. 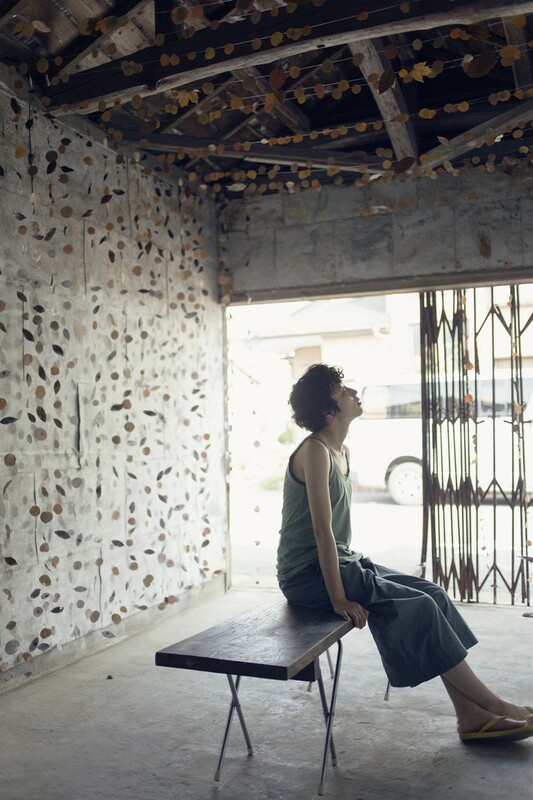 For the duration of the summer art event in this small port town which still the scar of the earthquake disaster remains, the leaves mobile that has replicated the memory of the building passively sways with the slight air movement giving a sense of coolness to this small resting kiosk like a “ Fulin ”(Japanese glass wind chime).